The Mercedes Formula One team showed its one true weakness last year: they sucked at standing starts after F1 cracked down on driver aids used to find the clutch’s bite point for the start. This year, Mercedes cleverly built in finger-shaped indentations on the back of the clutch paddles to improve clutch feel, which is a pretty neat workaround for a complicated problem. Clutches on F1 cars aren’t operated by a floor pedal, but rather, with paddles on the back of the steering wheel. Motorsport.com put together this clever animation showing what these paddles look like, and how Mercedes’ new finger hole fix works. Obviously, Mercedes couldn’t use an automated bite point finder to help its drivers find where its cars’ clutch engages for a smooth start anymore. 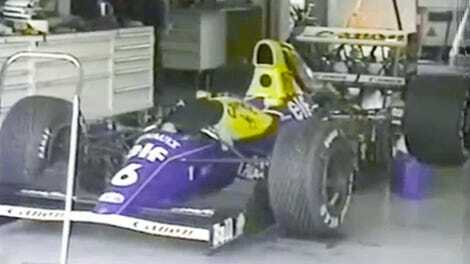 That was one of many driver aids banned by F1 in recent years. New linear torque restrictions for this year also mean that teams can’t map clutch settings for ease of starts, and teams are also limited in how far the clutch paddle itself can travel, per Motorsport.com. What Mercedes could do, however, is provide better feel through the clutch paddle itself to allow its drivers to find that sweet engagement spot themselves. Cupping the ends of the driver’s index and middle finger should mean that more of the driver’s hand is in contact with the paddle, and hopefully fix the problem with their starts. 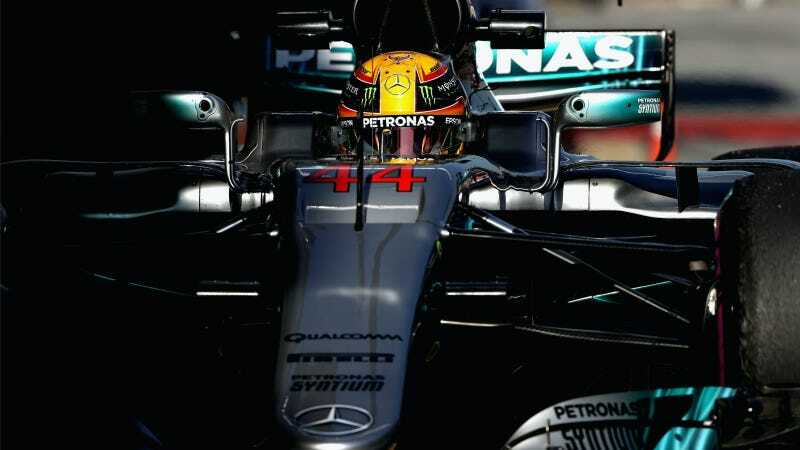 It’s a bigger set of clutch paddles, no doubt, but if it keeps Lewis Hamilton from being passed by the next couple rows of cars behind him on standing starts, I think Mercedes is cool with the extra weight.